A powerful and easy to use pre-configured bundled load test application with direct AWS integration provides performance performance professionals with the most detailed end users simulation available inside or outside the firewall. No programming required! Each Instance is licensed up to 200 Virtual Users. Apica ProxySniffer generates load test scripts by pre-recording real end-user actions and converting them into code that efficiently and effectively simulates up to a million simultaneous visitors. 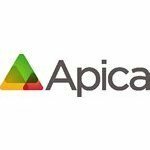 Apica ProxySniffer achieves this scale through comprehensive support for a wide range of Web standards and authentication methods making it an ideal tool for analyzing the performance and stability of large-scale Web applications. Realistic Web Load Testing: Creating realistic loads and user scenarios to expose performance bottlenecks for both web & mobile applications. Isolate problems throughout the entire stack. Powerful GUI meets Ease of Use: No need to implement complicated regular expressions, even if extracting session parameters from HTML, JSON, and XML data. Save time and money while significantly simplifying load test preparation. Record Once and maximize the ROI: Generate the script for load then repurpose across Apica's Web Performance Global Network for Synthetic Monitoring for your production environment.